What is a governance review? Compliance with national and international codes and standards. 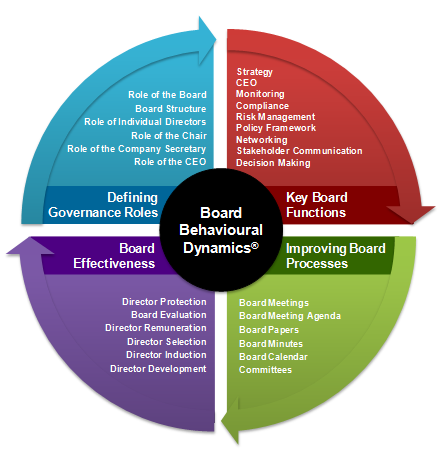 However, since the underpinnings of a governance framework are common to most organisations, we use our well-known Corporate Governance Practice Framework shown below to guide our approach. Source: G. Kiel, G. Nicholson, J.A. Tunny & J. Beck, 2012, Directors at Work: A Practical Guide for Boards, Thomson Reuters, Sydney.